Farnborough Airshow public weekend axed 5 March 2019 These are external links and will open in a new window Close share panel Shoreham Airshow crash trial Image copyright EPA Image caption The Farnborough International Airshow usually hosts a two-day public weekend, but organisers said its popularity had dwindled The Farnborough International Airshow will no longer host a public weekend after “negative and vitriolic” feedback for displays, it has been announced. Organisers said the Shoreham air crash had “expedited” the decision, which comes amid a “dwindling number” of spectators. A spokeswoman said organisers could “no longer provide an airshow the public want”. The event will focus on its five-day trade show. 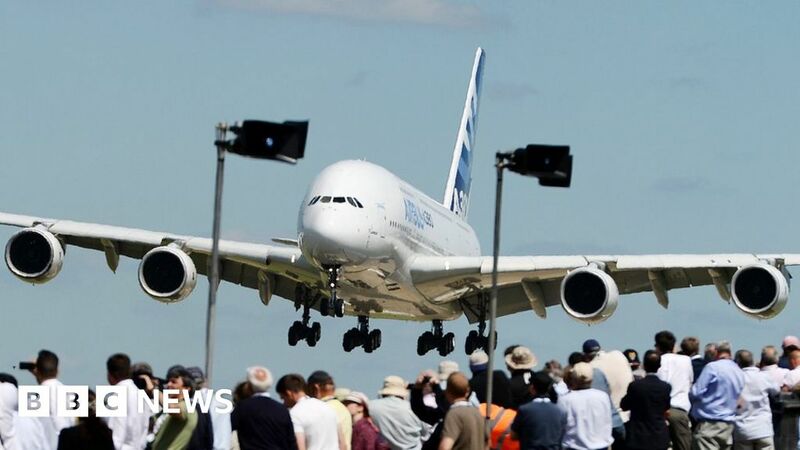 The Farnborough Airshow will still include trade flying displays when the biennial event takes place in July 2020. In a statement, organisers said the exhibition halls would be open to the public on the Friday of the airshow, while it would “focus on inspiring the next generation and showcasing the technologies driving new products and manufacturing processes”. Spokeswoman Mary Kearney said the airshow appreciated the affection plane lovers had for the public weekend, but it received “very negative and vitriolic feedback from 2018”. At the 2015 Shoreham Airshow in West Sussex a Hunter Hawker jet flown by pilot Andy Hill crashed in a loop manoeuvre on the A27, killing 11 people. As a result of the fatal crash, safety measures for airshows were enhanced by the Civil Aviation Authority. Ex-military jets are restricted to flypasts over land. .